If you follow pro road cycling, you've most likely seen the award winning Octal helmet being worn by one of the most renowned teams in the pro peloton; Team Cannondale Garmin. 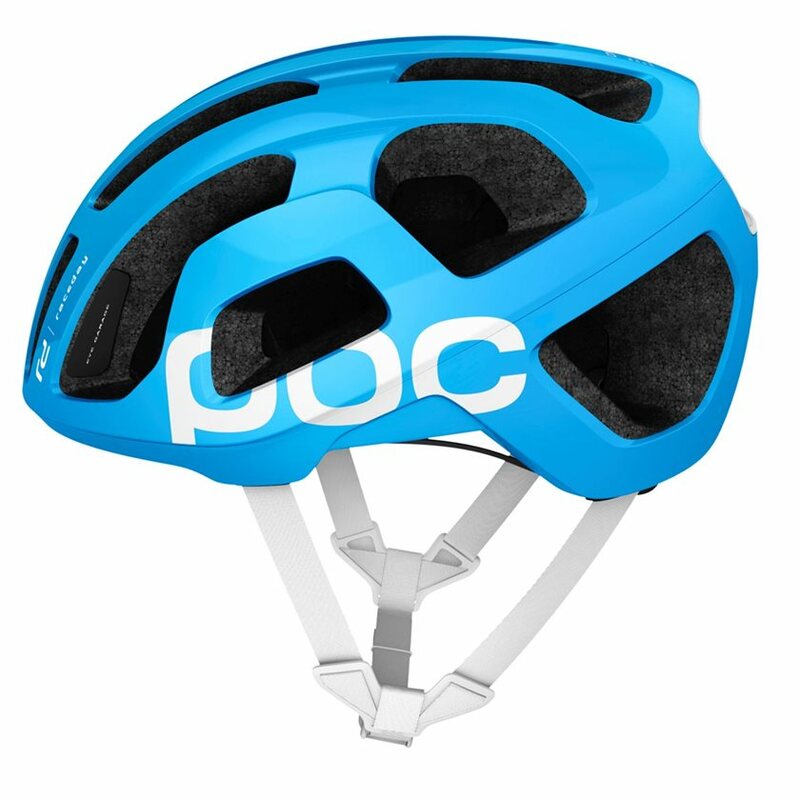 Engineered to be the next model in road cycling helmet safety, the POC Octal boats optimal ventilation, comfort and weighs less than 200 grams. The EPS liner is tactically thicker in more exposed areas and is covered by the outer PC shell, while the temples and back of the head acquire more coverage to further improve safety. The monocoque unibody shell construction greatly enhances the protection properties and construction reliability of the Octal while keeping weight to a minimum. Unlike the more common road helmets, the Octal employs a unique approach to letting air make its rounds. Instead of many small vents, the Octal has fewer, yet bigger vents for an overall larger open surface area at the front, which in combination with the optimized interior design, allows more air to flow through the helmet. To further enhance the cooling abilities and comfort, the Octal features internal Coolbest padding that helps reduce the temperatures in the interface between your head and your helmet, while the insanely light size adjustment system ensures a comfortable, yet secure fit. POC illustrates their attention to the small details through the built-in eye garage that allows you to keep your shades securely in position when placed on the helmet; something any true roadie will appreciate. To top it all off, the distinctive, refreshingly-modern look of the Octal is like nothing your roads have seen before. Note: Each Octal helmet features an ICE (In Case of Emergency) Tag. The way the ICE Tag works is if an accident occurs and the rider is knocked unconscious, scanning the tag or sending a text with your unique code will allow medical personnel, or passers-by, to identify the victim and get correct medical information such as blood group or allergies that can be vital for correct care. This helmet is a bit more robust than other brands, however it is lighter, one feels totally protected in the event of an accident. I highly recommend it.